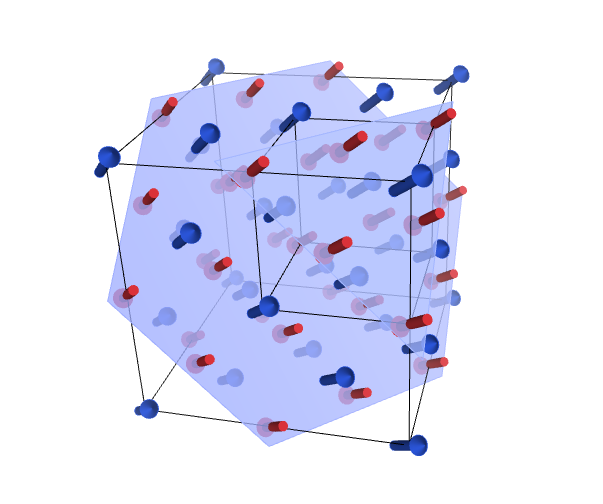 The motivation behind this blog was to show the world as many crystal structures as we could. We’re hope that so far, as we’re now three months in, we’ve shown off the diverse world of crystallography and given a bit of an insight into the sciences that it is shaping. We’re exploiting the fact, that no matter what the field, crystallographers describe their crystal structures in a standard format and often store them in publicly assessable databases for the world to see. We’re hoping that us picking out a few (365 out of nearly a million structures available across various databases) is expressing to the world what our science is about. Today is the birthday of one of the founders of our field, WL Bragg. Together with his father, WH Bragg, and Max von Laue they put together the methods and equations that describes how the phenomena of diffraction can lead to an understanding of where atoms are in a structure. 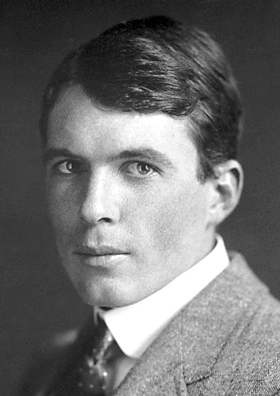 WL Bragg still is the youngest recipient of the Nobel Prize for Physics, he was 25 when he was recognised for his efforts in determining the first crystal structures from diffraction. 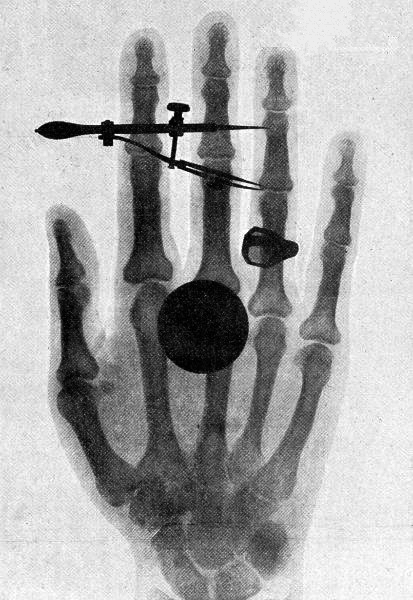 He didn’t stop there, and the efforts that he put into expanding this field and teaching others massively increased the reach of the technique, especially in the determining of the structure of DNA. So it’s a good day to write about a mineral that was name after WL Bragg and his father. Braggite is the mineral name for a mixed metal sulfide, composed of palladium, platinum and nickel, found within palladium and platinum ore deposits in South Africa. It was named after the Braggs because it the first mineral to be discovered with by X-rays. 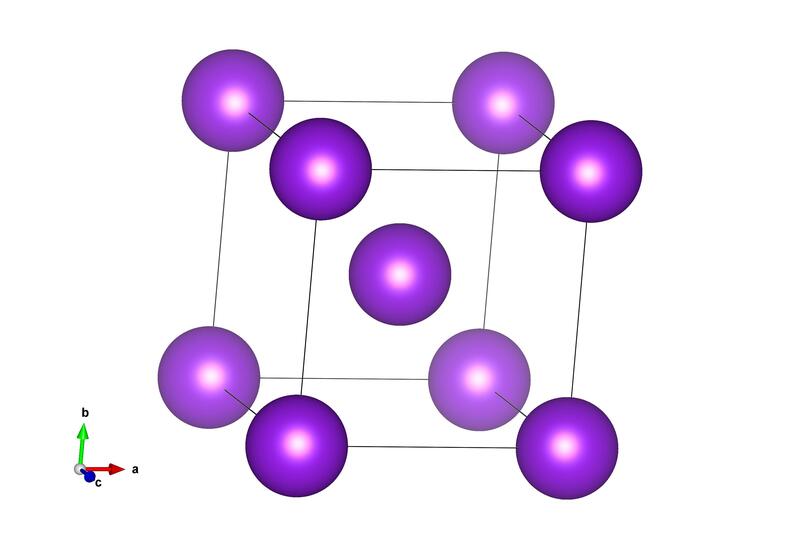 This is because it looks very similar to other metal sulfides it forms near, Cooperite and Laurite, and it was only when sample were investigated with x-ray diffraction that it was realised some of the samples had a very different crystal structure. Though Braggite was discovered in 1932, it wasn’t until 1973 that the atomic arrangement in its structure was described with single crystal x-ray diffraction. It is structure #9007574 in the open crystallography database. In our travels on the internet we stumbled upon this page on ’10 beautiful minerals you won’t believe come from Earth’. Fabulous pictures by Ryoji Tanaka, but what (we hear you cry) are the atomic arrangements behind these? We’ve covered one of them already (Gold) but we’ve picked out a couple of the others for this weekend. This is the atomic arrangement of Uvarovite, which one of the rarest garnet minerals and found in the Urals of Russia. If it looks familiar… then it’s because you recall our post back in January on Garnets in general. 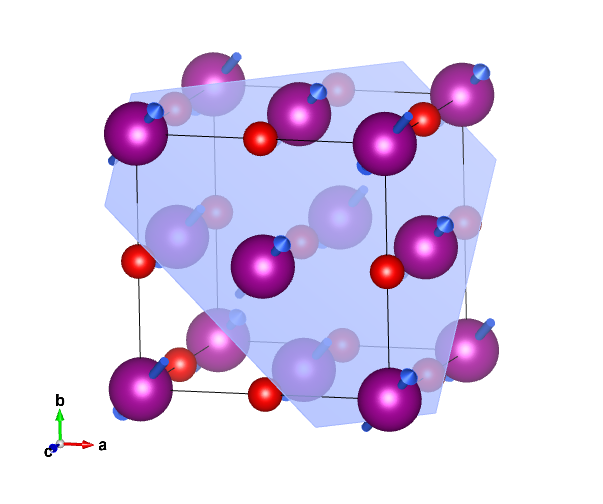 Uvarovite is particular because in between the silicate tetrahedrons (show by blue silicon atoms sitting in the middle of four red oxygen atoms) sits calcium (grey atoms) and chromium (dark blue) atoms. It’s these metal atoms, which give this mineral its beautiful dark green colour. 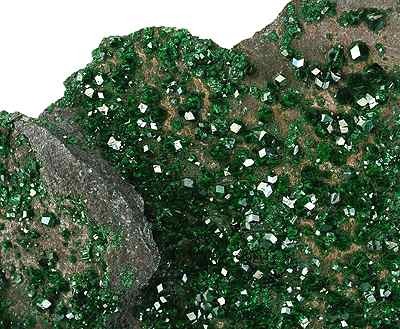 Like many natural minerals, the structure of Uvarovite is complicated by the number of other elements that can substitute into the structure. 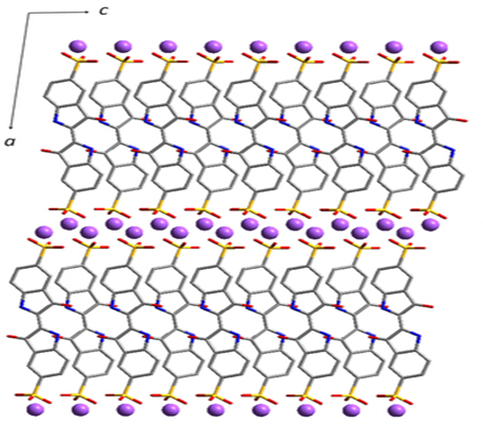 The structure we’ve shown here was determined from a synthetic Uvarovite crystal in 2002; it is number #9007149 in the open crystallography database. It’s manganese oxide or MnO, mineral name manganosite. 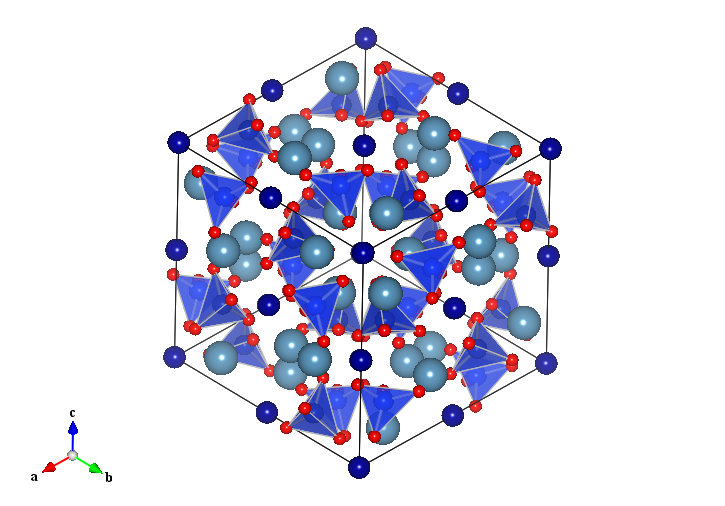 Chemically, it’s just a face-centred cubic structure structure like NaCl. The chemical structure was published in 1926. But MnO doesn’t just have a chemical structure, it also has a magnetic structure. Many elements in the periodic table have a magnetic moment, which means that each atom acts like a tiny magnet with its own north and south pole. The arrows coming out of the manganese atoms in the image represent the direction of the moments- which way the north pole is pointing if you like. The magnetic behavior of everyday objects- such as a magnet picking up iron filings- is due to the collective behavior of all these atoms. Iron is an example of a ferromagnet. A typical lump of iron consists of a myriad of randomly oriented micron sized crystal grains (or domains). Within each grain the moments are lined up in the same direction. If you persuade enough of the domains to line up, you create a magnet. By the end of the 1920’s, physicists already had a reasonable understanding of ferromagnetism: it was one of Heisenberg’s first applications of quantum mechnics. But some materials displayed magnetic behavior far from the ferromagnetic idea, and the French physicist Louis Neel suggested that the behavior could be explained in the magnetic moments alternate in direction – an antiferromagnet. So given a hypothesis that explained the data, two more things were needed: a mechanism to explain why how the manganese atoms could interact given there was an oxygen atom in the way, and some sort of independent direct evidence of the ordering. The mechanism of superexchange was suggested by H. A. Kramers, and later elucidated by P.W. Anderson: the electrons in the oxygen participate in the interaction. The direct evidence was observed by Shull and Wollan in the early 1950’s using the then new technique of neutron diffraction. The neutron has a spin, so it too is like a little magnet which interacts magnetically with the atom’s magnetic moment. Because the manganese moments are arranged up-down-up, the magnetic unit cell is twice as big as the chemical unit cell. Shull and Wollan observed an extra diffraction peak at low temperatures not seen in the magnetically disordered room temperature structure. Here’s a picture of the structure again. This time, only the magnetic moments of the manganese are shown as blue and red arrows highlighting their alternate directions. The smaller cube shows the chemical unit cell. The larger cube shows the magnetic unit cell. Magnetic crystallography is now a huge field in its own right. Louis Néel won the Nobel Prize for Physics in 1970 for his contributions to magnetism. Shull won the 1993 Physics Nobel for developing neutron diffraction. Anderson won the 1977 Physics Nobel for his contributions to solid state physics. Kramers died in 1952. The chemical structure of MnO is #1010393 in the Crystallography Open Database. The figures were produced with VESTA.